A quality B&B in Omagh. Affordable accommodation with ambience. 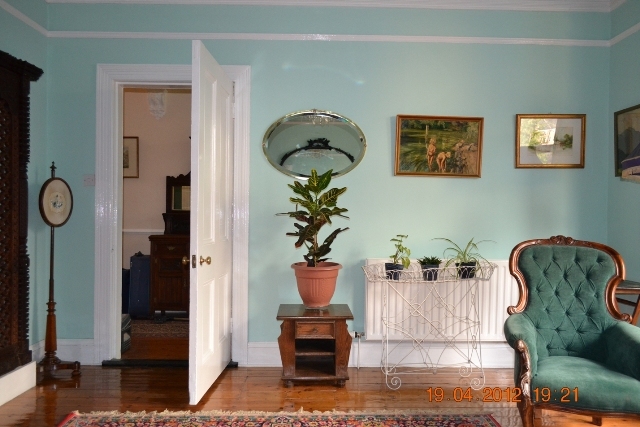 This luxury B&B is decorated in Edwardian and Victorian style and is located in a quiet cul-de-sac only minutes away from all major amenities. We provide off street parking, wifi and evening meals by arrangement. Accompanied tours of Northern Ireland & the Irish Republic on request. Accompanied tours of Northern Ireland & the Irish Republic on request. Fishing, clay pigeon shooting & other sporting activities. Walking & cycling routes planned.French, German, Hungarian and Polish spoken. Rooms from £50 per night, special rates for block bookings and repeat business. Accommodation ideal for the professional, business or tourist visitor.